I recently made my way to Hawaii for a family vacation. Partly to get away from the grey excuse Vancouver calls spring and partly because we found a great deal via YVR Deals’ blog. My sister and I flew from Bellingham to Honolulu for $310 after taxes! For more information about flying from nearby airports to save money click here. The first 3 days in Honolulu were spent sans parents. This gave my sister and I a chance to do some partying with hostel friends and also try some of the more physically challenging activities that we wouldn’t be able to go with our parents. 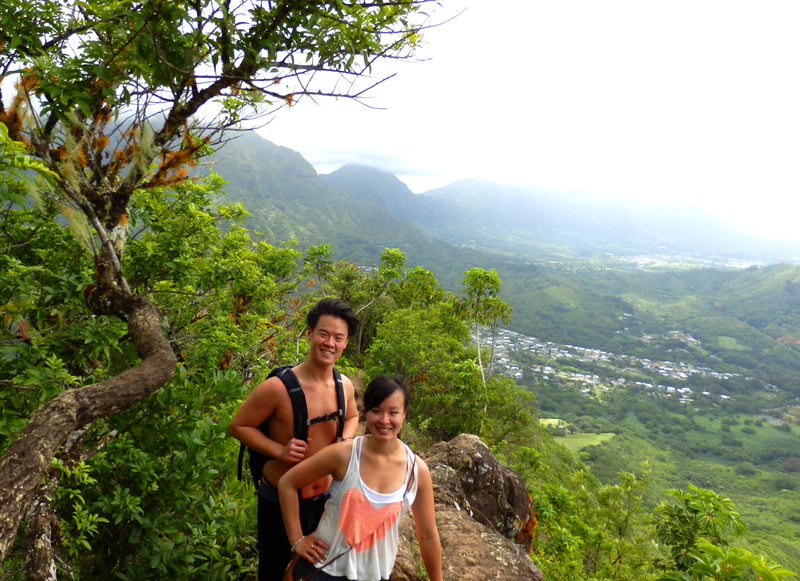 The highlight was the strenuous hike up the Olomana Trail. 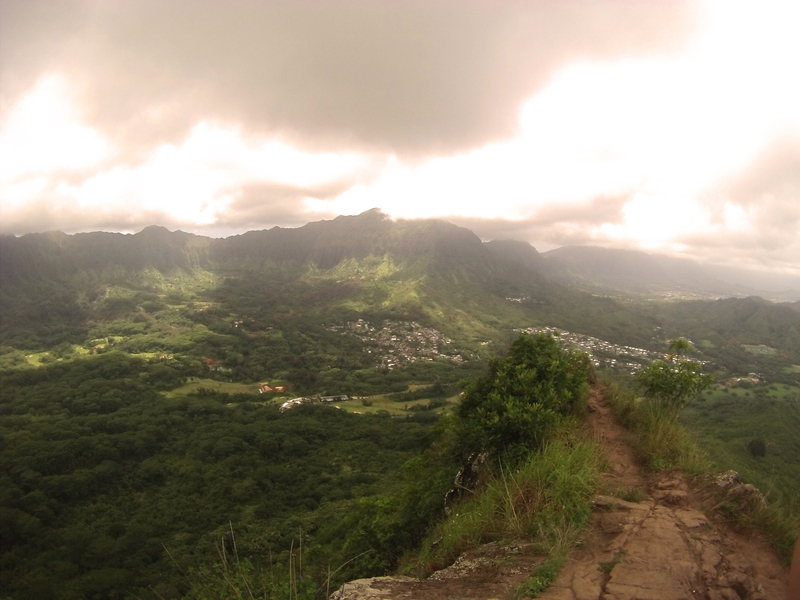 The Olomana trail is situated near a golf course and takes about an hour to get to by bus. It is fairly challenging and near the top, downright dangerous if you’re not familiar with hiking and some basic rock climbing. The ascent takes about 1.5-2 hours depending on how fit you are. 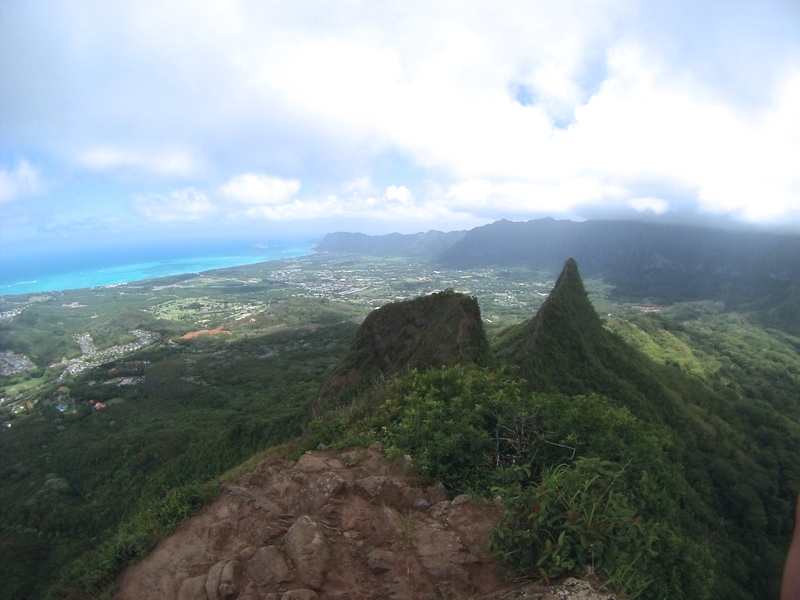 At the top of the first and highest peak you are rewarded with stunning panoramic views of the island. The subsequent 2nd and 3rd peak are narrow and much more challenging but clearly visible from the first. Do note that there have a been a few fatalities in between the 1st and 2nd peak so please try this hike at your own discretion. Challenge yourself but don’t be unrealistic about what you can and cannot handle. There was a weird section of the climb that had a bunch of these pine trees. The ground was carpeted with these pine needles. Snacks: you’ll be out there doing exercise for well over 2-3 hours so bring a snack. Proper Hiking Shoes: Hiking shoes or trail runners are idea. A good pair of runners will work in a pinch but try your best to find some real footwear. Casual shoes and flip flops? Forget about it. Camera: you will want to document this epic achievement. I tried to use the GoPro to catch more of the scenery. Get on all 4’s if you have to for this last ascent. 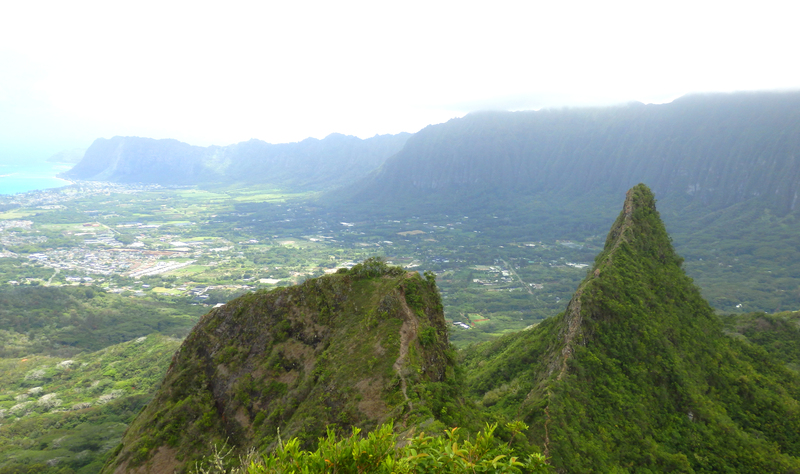 Take bus 56 or 57A and let the bus driver know you want to go to the Olomana Trail head. The bus ride is about 45 minutes. The Bus website is helpful. You can call them and get directions from an actual person! The bus will stop a few meters past an intersection. on the left are fields and jungle, no through road. On your back right side, perhaps your 5 o’clock is a street leading to a residential area. Directly to the right is a small paved street that forks from the highway at the intersection you just passed, forming a Y of sorts. Follow this small road past fields and mountains and a few houses. You should see a few cars parked here. If you drove you can park here as well. After 10 minutes or so you will walk past a gate with a guardhouse. 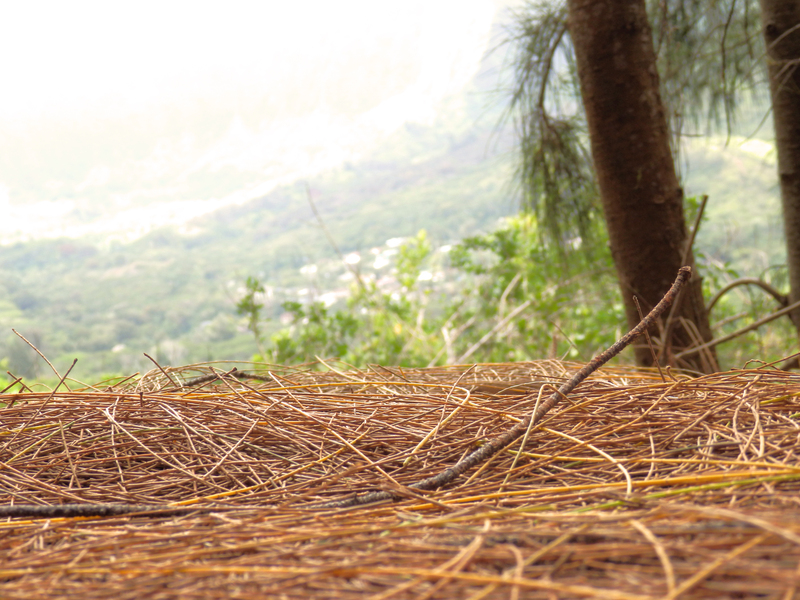 Let the guard know you are hiking the Olomana Trail and he will direct you down the road. The trail head is on the left side of this road 5 minutes from the guardhouse. It is labeled so look for a white sign. Panoramic view of the right side of the peak. It was windy as hell up here at times and I could hardly steady the camera enough! As far as the level of physical challenge, it would be in the 7/10 range. The beginning is easy to do at a steady pace but near the top after an hour or so it does get steep. Near the top there is some rope work you have to do. The final climb to the first peak requires climbing a large rock face. Try a few different approaches and see which is most safe for you. I found approaching on the right side easiest. Be careful because one slip can cause you to fall. The 2nd and 3rd peak called, but alas, I could not answer. Maybe next time! At the top, there are few feelings of accomplishment that top the one you get here. To the right, thick jungles and mountains like something out of Jurassic Park, to the right, greenery until the coast where you see buildings and the bluest water you can imagine. 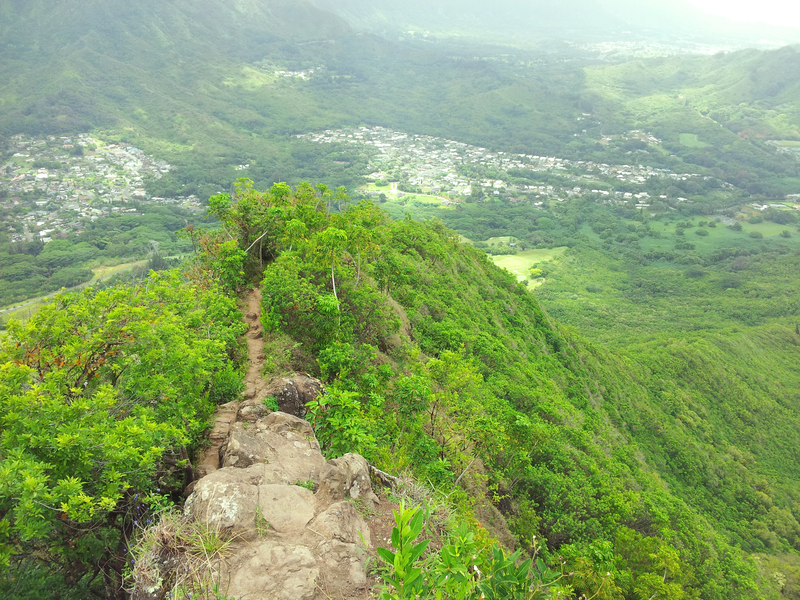 If you are up for the challenge, check out the 2nd and 3rd peak. We never made it that far but who cares? This was an awesome achievement in itself. Happy travels!